We started off in 1999 between two brothers opening up our custom cabinet shop producing cabinetry for kitchens, bathrooms, office furniture, and custom built furniture that was free standing and built-ins. We continued on with the remodeling of kitchens and bathrooms. In 2003 we had two other brother brothers and a cousin move over to us with their own business's in the home & business remodeling and building, with the combined roofing business attached. We are a family run business including 4 brothers, one cousin, and our hardworking and loyal friends and associates. 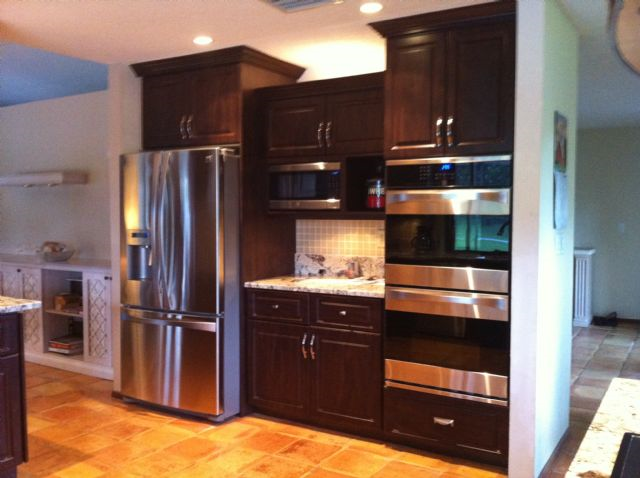 We have proven our crafts in the remodeling industry throughout the years. We are proud of what we have accomplished and produced while we have been in business. We have the referrals to tell you themselves of our professional work ethics, timing, and integrity. From start to finish we're clean, reliable, with the craftsmanship outweighing all of our competition. The satisfaction seeing the finished project we completed for our customer, Seeing the smile on the faces of our customers. Sometimes getting a at on the. Oh ..... Getting our final payment. ....That's nice too. Meeting with the customer. Listening to what they may have in mind for their project. Afterwords we would give suggestions mixed with their visions and try to come up with a complete idea that would work with the potential customer. Next we would come up with an estimate that hopefully would work into their budget. If all goes well up to that point we would then give them a start date and an approximate finish date and draw up a contract. With the early years of all of our family members working with our Father and relitives and then getting into the different fields of the construction business as we got older. We all went into different fields. We learned and perfected our skills as we continued to work on more and more different projects that helped us to progress into eventually, all of us going into business for ourselves because of the hard work and hours we invested in ourselves.